BBC+ app released for Android and iPhone. Today BBC released a brand new app called BBC+ for Android and iOS mobiles. 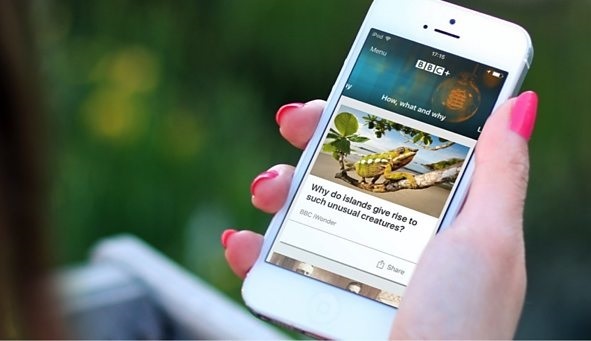 BBC+ app lets you mould all the content the BBC has to offer to suit your own tastes. From today, the easy-to-use app is available to download for free on both Android and iOS mobiles in the UK. BBC+ is designed to put you in control of the information you receive. After signing in, you can get up-to-the-minute information about what's happening in the world, discover new things from across the BBC that we know you love, never miss those 'water-cooler' moments with talked about TV, and explore content you didn't expect to find on topics such as Books and Authors, Mind and Body and Money Matters. Download - Available for free for Android and iOS. All you need to do is download the app to your smartphone. Sign in - By signing in to BBC+, you receive a better, more personal service, with relevant information and recommendations. Customize - BBC+ keeps you connected to content that you want, whether it is news and politics or food and technology, the latest sporting updates or what’s new from the likes of BBC Three. Use spare moments well - BBC+ means that whether you are travelling to work, in the queue at a shop or waiting to collect the kids from school, you can get updates on the topics that interest you in one place from across the BBC.